This Cranberry Almond Chicken Salad Recipe will have you looking forward to lunch. 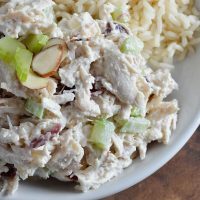 This easy chicken salad is satisfying and full of flavor! Serve with rice for a tasty and filling meal. I am a little obsessed with lunch recipes and ideas lately. My daughter just started kindergarten so packing a lunch box daily has taken over my brain! 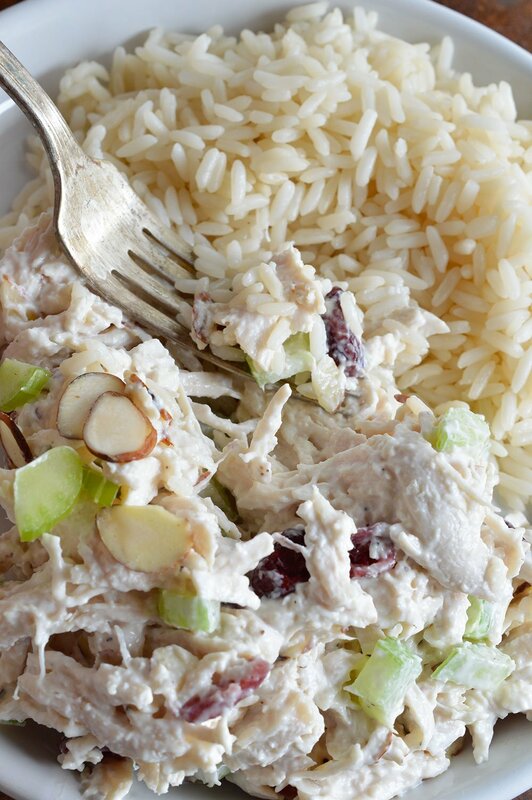 I thought this Cranberry Almond Chicken Salad Recipe would be great in her lunch box. But . . . it never quite made it in there. I ate it all! Seriously, every last bite. 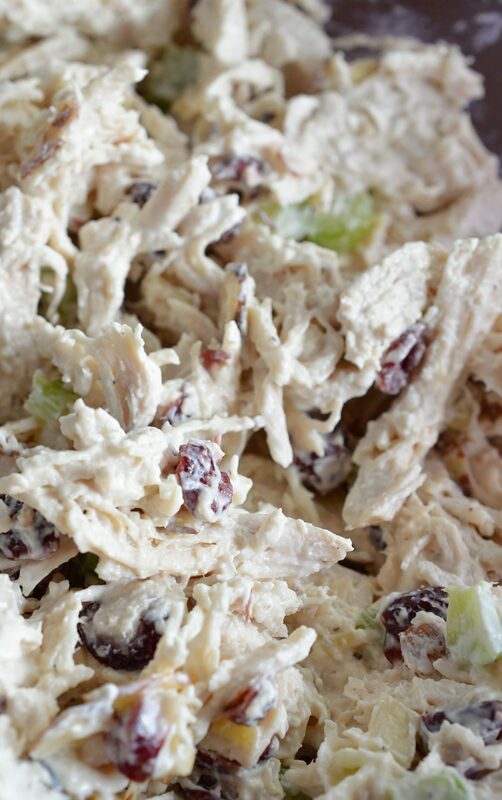 Chicken salad is usually slapped in between sliced bread or rolled up into a wrap. 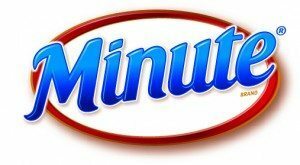 I decided to eat mine with Minute® Ready to Serve Rice. And I think that will be the way I eat it from now on. This chicken and rice is not bland and boring. It is simple yet full of flavor! Just remove the film cover. Then microwave for 60 seconds and serve. Fully cooked rice with nothing to add! I wish I had these back when I worked full time in an office setting. It would’ve made my lunches so much better! 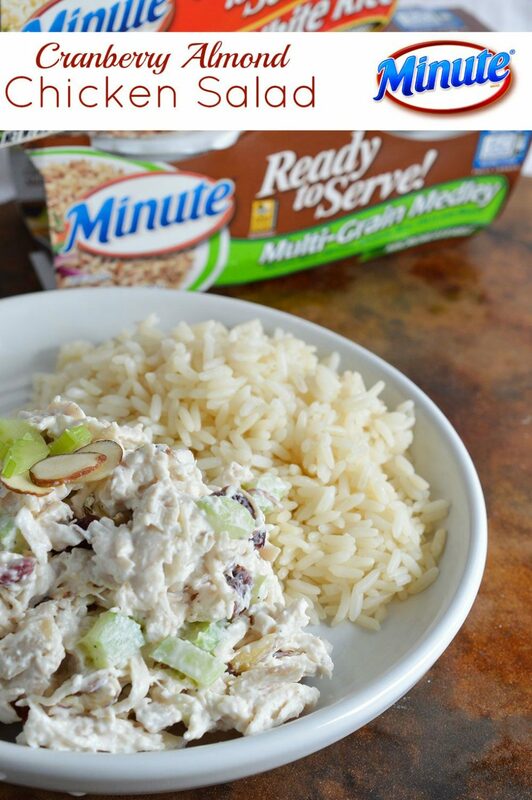 Mix up a batch of this Cranberry Almond Chicken Salad and serve with Minute® Ready to Serve Rice. It will power you through until dinnertime! 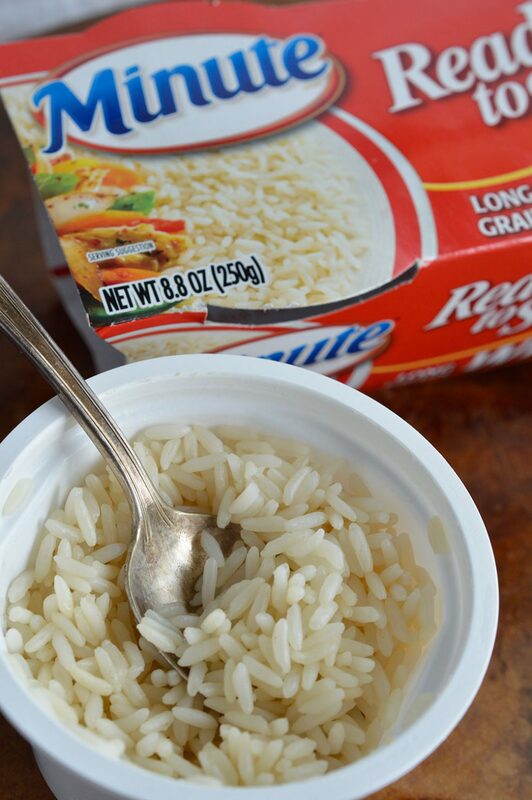 The white rice is great because it will go with just about anything. Make sure you try the Multi-Grain Medley. It is a blend of whole grains including brown rice, quinoa, barley, oats, wheat and rye. my new favorite thing! Check out the different varieties at https://www.minuterice.com/en-US/products/categories/29/ReadytoServeRice.aspx. *Poach, grill or oven roast chicken. Or use store bought roasted chicken if you prefer. 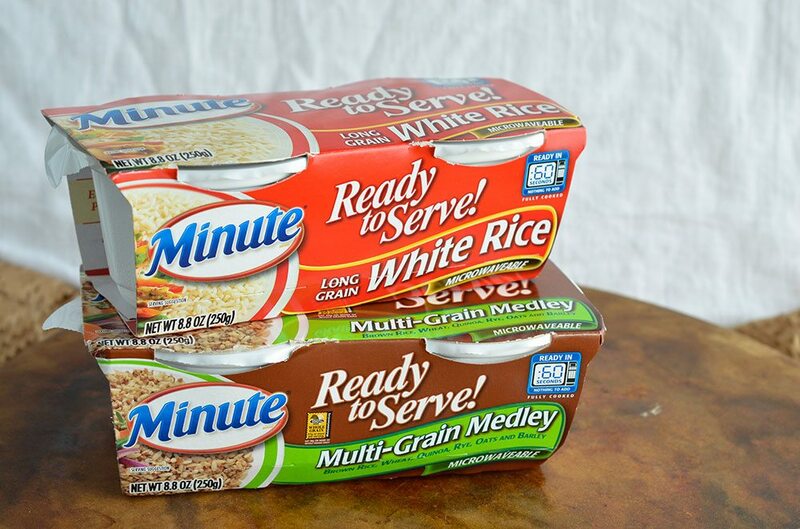 Visit https://bit.ly/1MTA9ki for recipes, including Stir-In recipe ideas, and more information about the Minute® Rice family of products. I want to try that rice! 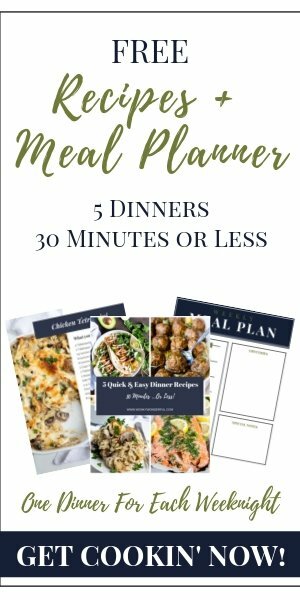 It is really delicious and perfect for lunches on the go! How did you cook your chicken for this recipe? Salt and pepper chicken breasts, grease roasting dish with oil and place chicken in roasting dish. Let cool then shred or chop.